It is important to remember that an emergency can take place anyplace and at any time. 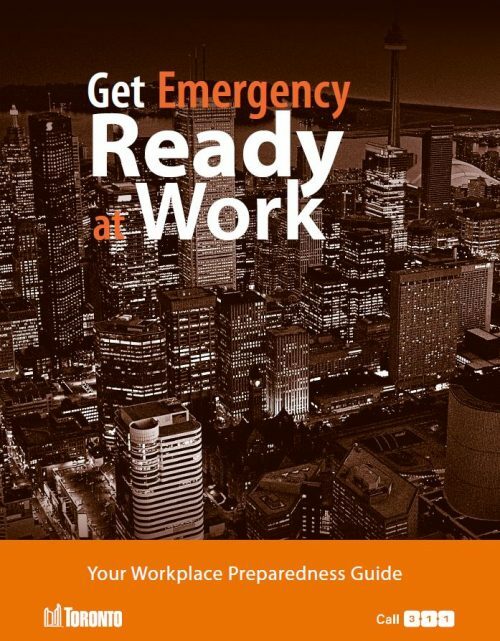 The “Get Emergency Ready – At Work” preparedness guide addresses the most common emergency situations, including procedures for fire alarms, lockdowns, active attackers, medical emergency and upon receipt of suspicious packages or threatening communications. While this guide could not possibly address every emergency situation that could occur, it does provide response procedures that can accommodate various situations, such as those listed above. It does not replace existing Emergency Plans and Procedures, including Fire Safety Plans, but rather works in conjunction with these documents. This guide was prepared in cooperation with the City of Toronto Corporate Security, City of Toronto Office of Emergency Management, Toronto Fire Services and the Toronto Police Service.